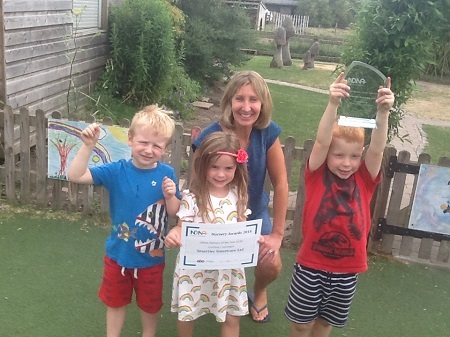 A ‘passionate, compassionate and inspirational’ day nursery in Chester has been named the best in the country at a national award ceremony. Smarties Smartcare Ltd, which is funded by Cheshire West and Chester Council, is the overall Nursery of the Year winner for the UK which was announced at the National Day Nurseries Association (NDNA) annual conference and awards evening, which acknowledged success and excellence across the nursery sector. The Council works in partnership with the Chester NDNA group to support settings and ensure there are sufficient childcare places for families. Annie Silcock of Smarties Smartcare Ltd in Chester said: “We are absolutely ecstatic. Smarties is one big family and I feel like a proud parent. We have been an Ofsted outstanding setting for the last 20 years but this is the pinnacle of the journey so far. Nikki Edge, a parent of the children at the nursery, said: “My eldest son was at Smarties three years before Ethan who now attends and I’ve noticed the level of investment in each room – new furniture, different layouts, more technology, books, toys and more play equipment. Cllr Nicole Meardon, Cabinet Member for Children and Young People, said: “The Council supports many wonderful nurseries by providing essential funding for childcare places. We focus on ensuring children in the borough continue to receive a high standard of care from dedicated and talented teams of staff.